New research links screen time to speech delays. Using smartphones and other handheld screens may hinder kids’ speech development, according to a new study. The research was presented at the annual meeting of the Pediatric Academic Societies, TIME reports. Pediatricians from the Hospital for Sick Children in Toronto, Canada studied nearly 900 children between six months and two years old and found that children who spent more time looking at screens (specifically handheld devices) were more likely to “have delays in expressive speech,” as TIME writer Alice Park explained. For every 30 minutes of screen time, the risk of delayed speech increased by 49 percent. Interestingly, the researchers didn’t find links between screen usage and delays in other skills like socializing or body language, according to TIME. 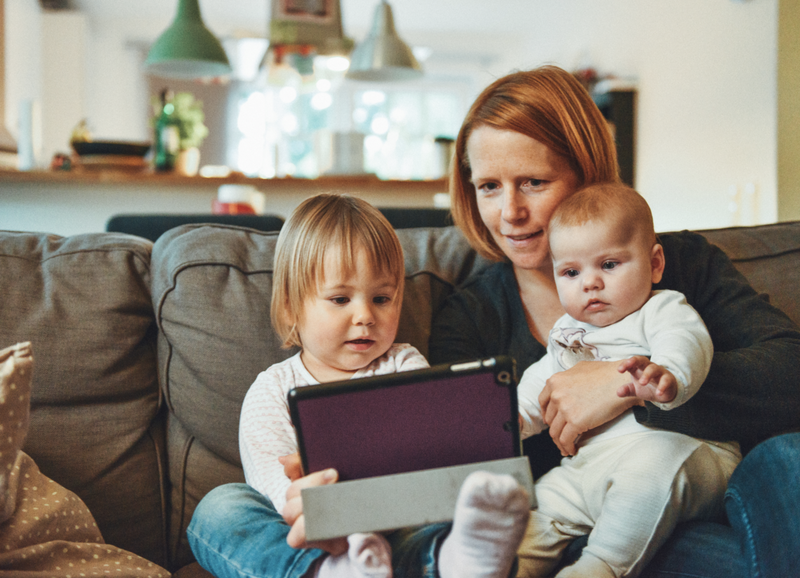 The new findings add to an ongoing discussion about how parents should regulate their kids’ screen time, or more broadly, when to expose children to screens at all. The implications are serious — in addition to this link between screens and speech delays, we’ve previously reported on research showing that screens can affect babies’ sleep. TIME points to the American Academy of Pediatrics recommendation that children under 18 months shouldn’t use screens unless it’s for video-chatting. This puts a wrench in some app-based educational programs, because even screen-based services with good intentions may impact kids’ development. Dr. Jenny Radesky, an assistant professor of developmental behavioral pediatrics at the University of Michigan and member of the executive committee of the American Academy of Pediatrics’ council of communications and media, echoed these thoughts to TIME. Since children this young aren’t making their own media decisions, the amount of screen time they get “may actually reflect social, cultural and economic factors that might have more to do with how stressed parents feel, or how consistent caregiving is for the child,” Radesky told TIME.